NIGHTMARE To Tour With CIVIL WAR This Spring – “Road To Victory Tour 2017”! Both bands have released a brand new album in November and are now ready to hit the road, the road to victory. Presented by: Rock Hard, Lords Of Metal, Metallian, Rock Tribune, metal.de, HARD FORCE and Radio Metal. FIREWIND – Sign With AFM Records For North American Release Of New Album “Immortals”; Details Revealed! 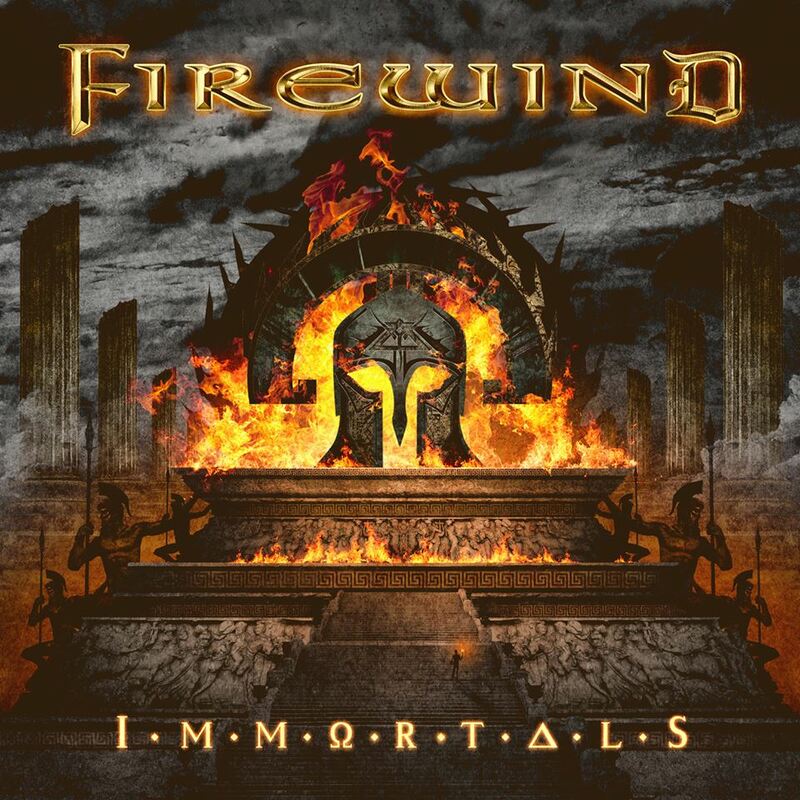 Greek melodic Power Metal masters FIREWIND, the group led by guitar-wizard and Ozzy Osbourne band member Gus G., are proud to announce the release of their upcoming 8th studio album, “Immortals”, which will be released on January 20th, 2017 via AFM Records in North America (Century Media Records in Europe). 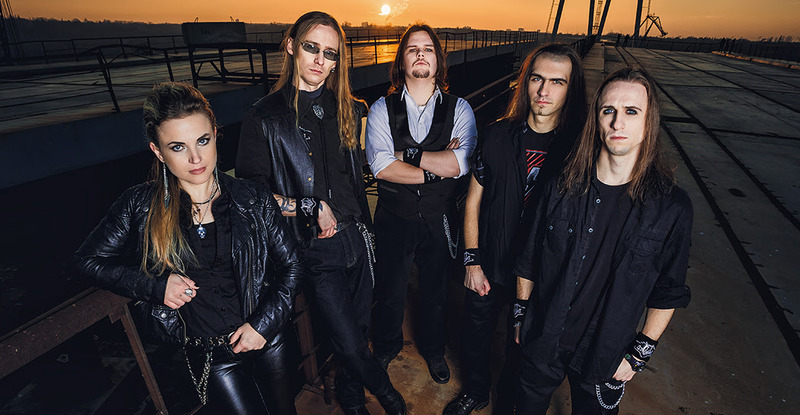 Since its formation in 2008, DEFIANT‘s mission has been to enthrall fans with a brand of power metal that is as muscular as it is melodic. 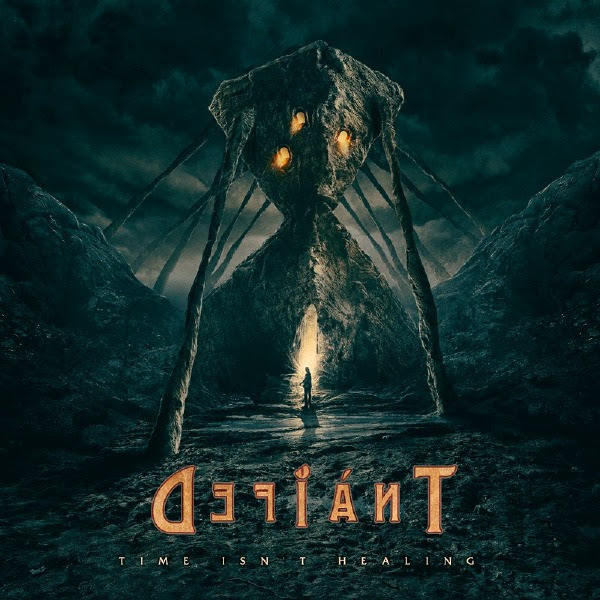 DEFIANT went on to release no less than three EPs and 2012’s full-length debut Masquerade, collectively laying the groundwork for what can only be called its magnum opus: Time Isn’t Healing. The crunching riffs and soaring leads of guitarist Andrey Turkovsky blend seamlessly with the epic, often breathtaking keyboard work of Victoria Terzieva, while Stanislav Proshkin‘s gritty yet tuneful vocals offer a captivating stamp of distinction. The clanging bass lines of Oleg Yakovlev and airtight drumming of Eugeniy Smolin form a robust rhythmic foundation. It’s the quality and consistency of the songwriting that is perhaps most impressive about the new album. Whether the up-tempo Power Metal pummel of “Milestones of Time” or the mid-tempo elegance of “According to the Acts,” Time Isn’t Healing sinks the hooks in deep and keeps the listener in a state of rapt attention from beginning to end. Fans of HELLOWEEN, RAGE and similar icons of the genre are strongly encouraged to give this one a spin. HAMMERFALL “Built To Last” – New Studio Album Releases Worldwide On November 4th! Sweden’s legendary Heavy Metal band HAMMERFALL will be releasing their new studio album, Built To Last, on November 4th, 2016, worldwide! Metal Be Thy Name! BRAINSTORM “Memorial Roots Re-Rooted” – Releases On September 16th, via AFM Records! Friends, you didn’t see this coming, but be assured: it sounds killer! 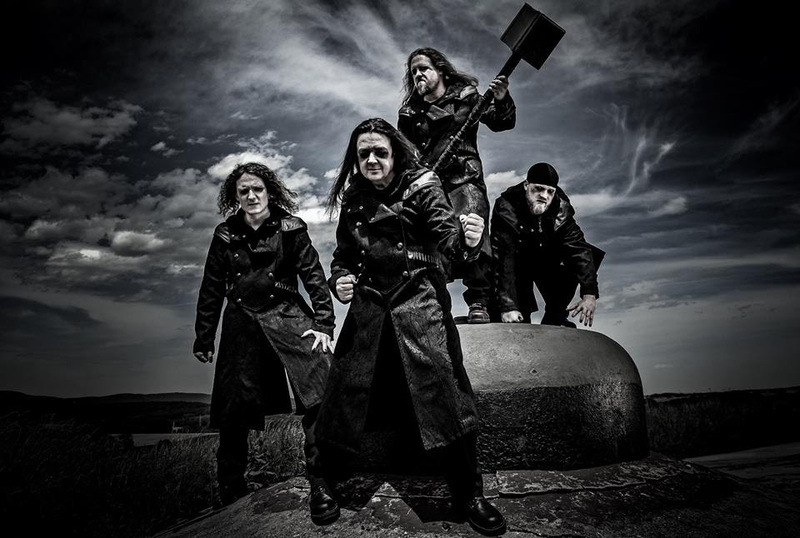 In the past few months, German power metallers BRAINSTORM have extensively “reworked” their 2009 album “Memorial Roots”. The band’s longtime engineer Achim Köhler was hired to do a complete “remix” of the album and for the first time ever now all tracks of the “Memorial Roots” sessions (besides the regular album songs there were different bonus tracks on the Digipak, Vinyl and Japanese pressing back then) are featured on this brand new release. “Memorial Roots (Re-Rooted)” comes as Digipak, out September 16th. “Seven years after the original release of “Memorial Roots”, we are incredibly proud to finally heed the call of our fans and give one of our most important albums a total “makeover”. This album holds many memories, we love these songs and are confident that the “polishing” (completely new mix) makes this new edition of “Memorial Roots” a great experience for every BRAINSTORM fan. Many “Memorial Roots” songs are part of our Live set list ever since. Over the years we received a lot of fan feedback regarding this release especially. Many of you told us that you like the songs but overall wish the album to sound more powerful and aggressive. 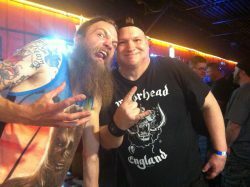 For all BRAINSTORM members, being close to our fans is an integral part of what the band is about since day one. And so we are more than happy to give you what you asked for: in collaboration with our longtime-engineer Achim Köhler and our label AFM Records we took on this exciting project – to make the album sound like it deserves! “Memorial Roots” was a very important time for us; not only because it was the first release for the current line-up. We’ve toured Mexico for the first time back then, as well as many festivals in Europe and the US. We love what we do and we do what we love. That’s why we are so proud today to give you “Memorial Roots (Re-Rooted”). This one’s for YOU… (and your neighbors)… SO PLAY IT LOUD! SERIOUS BLACK “As Long As I’m Alive” Official Lyric Video Is: Metal Odyssey’s METAL Pick Of The Day! SERIOUS BLACK – It appears and sounds LOUD and clear that SERIOUS BLACK are back with a METAL vengeance! Take a listen below to their new lyric video for the track As Long As I’m Alive and get your adrenaline to rage on high! Whoa! SERIOUS BLACK will be releasing their sophomore studio album, Mirror World, via AFM Records on September 9th, 2016. Dig it!